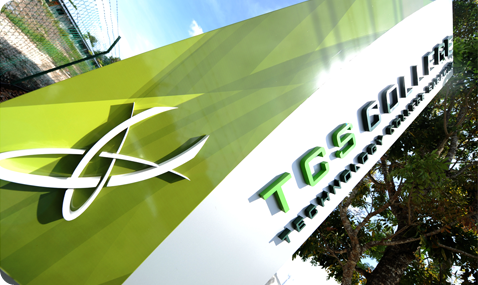 Technology College Sarawak [DK246(Q)] (TCS) is a private and independent business-based higher learning institution that was established on 2nd May 2000. Its recent upgrade to 5 Stars in the MyQUEST ratings is an affirmation of its commitment in developing the next generation of first-class entrepreneurs, innovators, researchers, and academicians through its foundation, diploma, and degree programmes that promote both professional and personal growth. TCS partners itself with various academic institutions in order to provide the highest quality of education available to the market. It also collaborates with different social organisations which would allow its students the opportunity to gain practical knowledge and experience, as well as in developing a sense of compassion to contribute back to society. As of today, TCS has produced over 2000 talented and diverse graduates from all over Sarawak and Sabah, most of whom consist of the most intellectually adventurous and independent-minded people to have crossed the institution’s threshold of academic excellence. TCS now produces the most graduates among all the colleges in East Malaysia, who are also highly sought after by various industries – a testimony of its vision to be the leading business school in East Malaysia and the region. TCS College’s vision is to be a premier IPTS in East Malaysia and the region, with a fine reputation for producing holistic and enterprising graduates. To focus on our core entrepreneurship programs from Foundation to Degree levels, with the objective to produce holistic and enterprising graduates as future entrepreneurs. To apply our “TCS Integrated Education (TIE)” learning methodology which is an enhanced version of the project based learning in the delivery and assessment of all our in-house programs. Our TIE integrates the learning and application of theoretical, competence and personal attributes focusing on team working, researching, communication, problem solving, creativity, critical thinking and entrepreneurship by working on real life projects entirely driven by our Students. Providing a rewarding and challenging environment for our employees, one which allows them to share in our success. Maintaining a level of earnings which supports our growth and expansion, while sustaining confidence of those who invests in us by providing superior return on investment. is reviewed for continuos suitability.